Scott is known for proactive, straightforward advanced planning advice. His area of specialization is in advanced planning and structuring for business and private clients that includes investing, retirement income planning, tax planning, capital transfer, life insurance, and estate planning. He is committed to highly personalized service for each of his clients. Scott has been in the financial services industry since 1996. 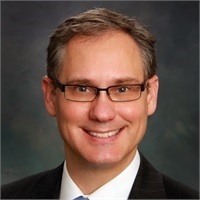 He began his career at Jefferson Pilot, worked at GE Financial, and then joined First Citizens Bank where he was Senior Vice President, Wealth Strategist in the Private Wealth Management division. He is currently the Chief Executive Officer of Partners Square Consulting, an advanced markets consulting firm. Scott is widely recognized for his knowledge and is regularly contacted by CPA’s and attorneys for advanced investment and financial tax planning advice. Scott has a strong passion working in portfolio management, particularly developing sophisticated strategies for retirees and entrepreneurs to mitigate tax and risk to enhance their financial lives. Scott has a Bachelor’s degree in Business Administration with a concentration in Business Management from Mount Olive College. Scott holds the Series 6, 7, 63 and 65 securities registrations and has Life, Accident and Health insurance licenses as well as the Chartered Financial Consultant® (ChFC®), and Chartered Life Underwriter® (CLU®). Scott is married to the former Shannon Brantley and they have four children, Colin, Macy, Avery, and Pierce. He and his family attend College Acres Baptist Church. A former collegiate soccer player, Scott continues to play on two soccer teams.